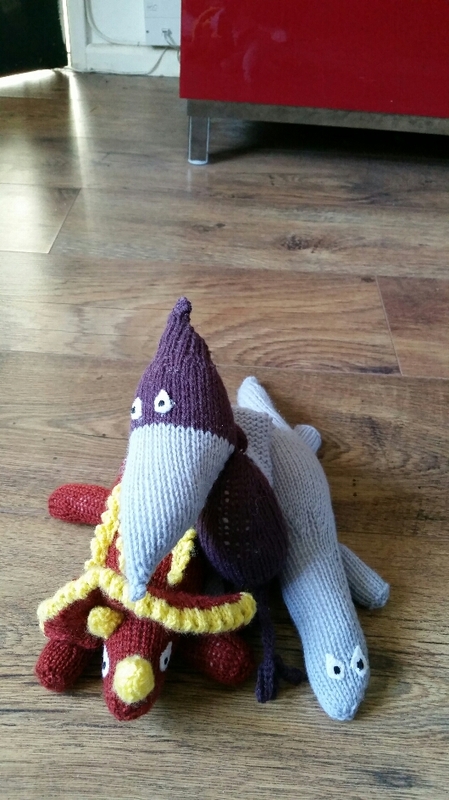 Despite knitting for quite a few years now, I have only recently discovered Deramores and I have to say I have fallen in love, it’s exactly the sort of site I have needed with a mahoosive range of yarns especially in aran weights and has really helped simplify yarn substitutions. They also offer a range of patterns. 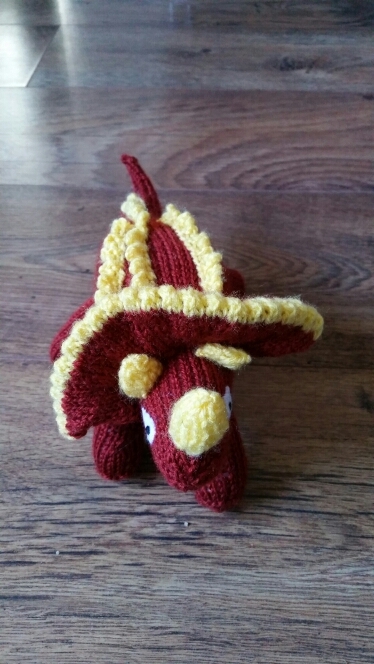 One such range was this collection of dinosaur patterns which I was able to download for free by signing up for the newsletter! I’ve made these for my boy who rather likes dinosaurs and they were quite handy for stash busting too. Not too large, initially I thought they were a bit on the small side but now I think they’re just right. There are 6 patterns in the collection, I have made 3 and a half of them so far. 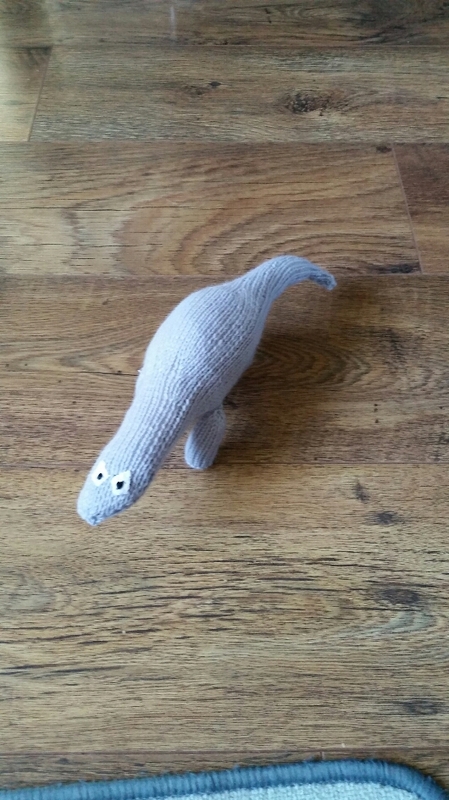 I’m halfway through Bruno the brontosaurus leaving me with Tina the t-rex and Stanley stegosaurus to knit up at some future date. 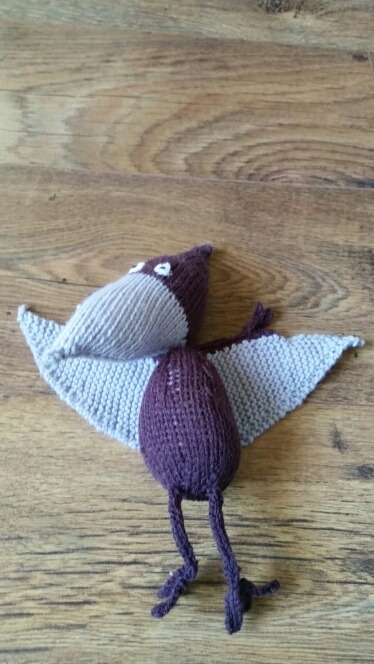 The patterns were easy to follow, fairly quick to knit and as always my least favourite part was the seaming and the eyes so it might be a while before I finish the set. Excellent for freebies though!